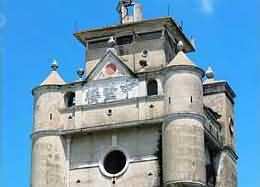 The diaolou (watchtowers) are fortified multi-storied towers, generally made of reinforced concrete. 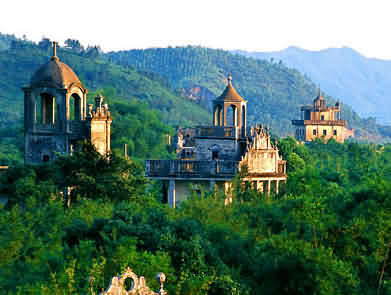 Diaolou is a special style of Chinese countryside architectures; it combines defence, living together with art. Located mainly in Kaiping County, Guangdong province, Kaiping Diaolou was awarded as a World Cultural Heritage Site by UNESCO in 2007. Kaiping Diaolou appeared during Ming Dynasty (1368-1644) the latest. The Diaolou were first built up to defense the robbers because of the disordered society. The rise of Diaolou was related to Kaiping's geography and its confusion during that time. 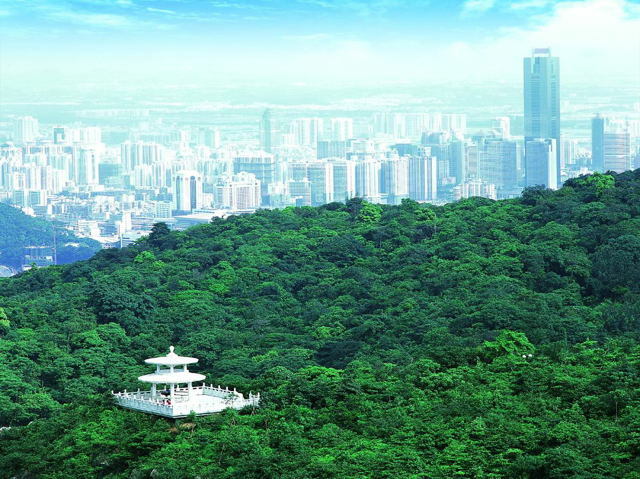 It developed as a unique cluster of architecture which represents the history of overseas Chinese, social configuration and culture. They reflect the significant role of Kaiping people in the development of several countries in South Asia, Australasia and North America, during the late 19th and early 20th centuries. Diaolou combines styles of Chinese architectures together with western styles like ancient Greek, Rome and Islamic. 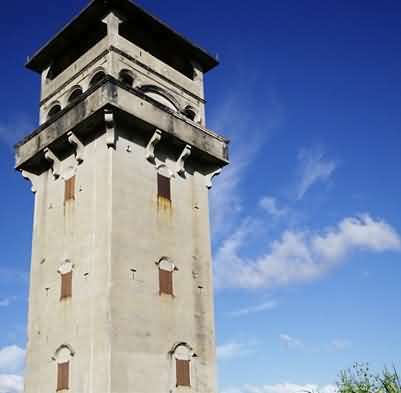 The typical diaolou are Ruishi Diaolou which is regarded as the first tower of Kaiping; Majianglong diaolou and Fangshi Denglou which is known as the "Light Tower" because it had an enormous searchlight as bright as the beam of a lighthouse. 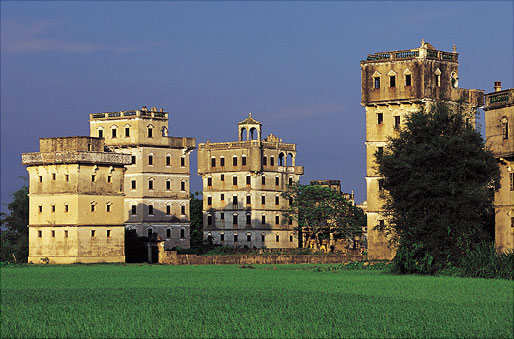 As multi-storied towers, Kaiping diaolou are higher than the common residences so it makes easier to defense. The wall of diaolou is thicker and firmer than the common houses while their windows are smaller with window sashes. Hornworks are built with shooting holes at the four corners on the top. The defense function of Diaolou are represented everywhere in the appearance. The top of the diaolou are expressed in different styles. People combined a lot of western elements into the construction so as to form the different styles. 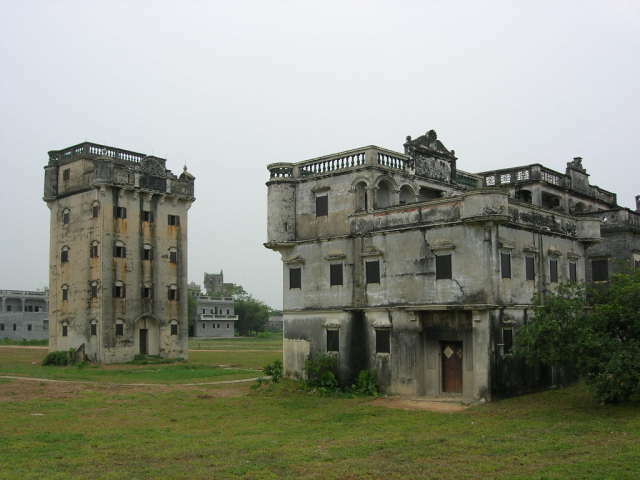 Kaiping diaolou can be classified to colonnade style, flat-roof style, castle style and others by their top sculpts. Those different sculpts reflect the hosts' economy, taste and their influencing levels by western architectures. 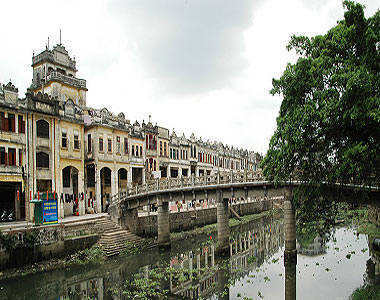 Kaiping diaolou reflects the cross-culture of Chinese and western styles in architecture. 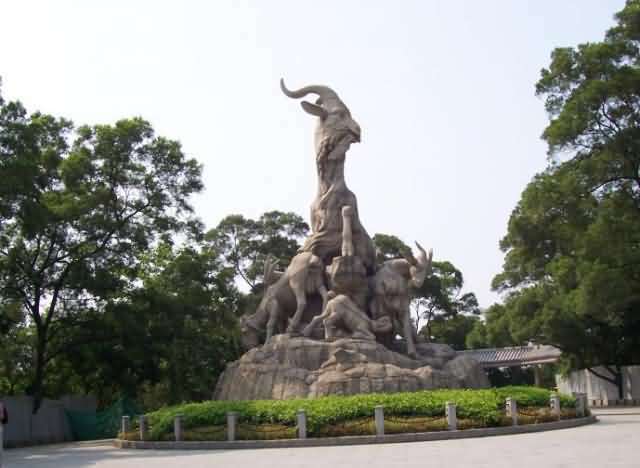 They are also the witness of the civilization history in China. 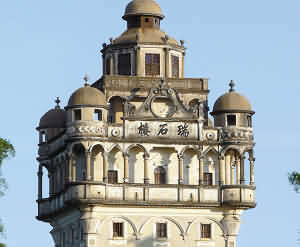 Constructed in 1921, Ruishi Diaolou has nine floors and is the highest diaolou at Kaiping. 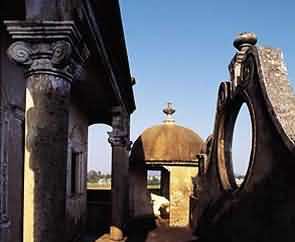 It features a Byzantine style roof and a Roman dome. 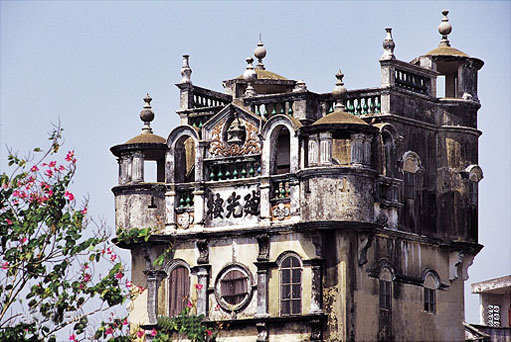 Regarded as the first diaolou in Kaiping, it is the best preserved and the highest dialou. It has 3 storied cabinets at the top showing the unique features of western architecture. The roofs around are in Rome and Byzantium styles. Every floor has its different architraves and decorations. Ruishi Diaolou is a typical example of the combination of Chinese and western styles. There are 13 diaolou in Majianglong village which form a diaolou cluster. These diaolou are well preserved and in special sculpts, melting in harmony with the natural environment. In the village, the overseas Chinese population is even larger than the local Chinese. Built in 1920 after contributions from villagers, this denglou is five stories high. 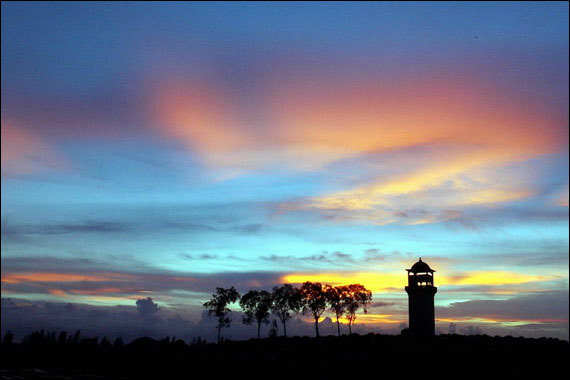 It is known as the "Light Tower" because it had an enormous searchlight as bright as the beam of a lighthouse.